There are few industries which are so multifaceted and demanding when it comes their requirements with regards to their operating conditions as the food and drinks industry. The strict hygiene and cleanliness requirements which exist in the food processing industry also apply to electrical components. There are complex requirements for cables and accessories in the food and drinks industry and in bottling and food packaging plants. They must be resistant to a whole host of chemical, thermal and physical stresses so that they can be used in refrigerated areas and damp environments and still fulfil their function reliably. Hygiene takes top priority when it comes to food production. As a result, resistance to aggresive industrial cleaning and alkali agents which are commonly used during cleaning processes becomes particularly important. 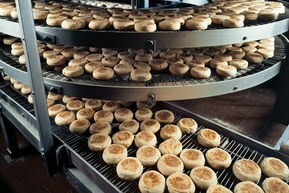 As a long-term partner to the mechanical and plant engineering industry, Lapp has a comprehensive range of standard and specialised products which meet the requirements of the food and packaging industries. Our proven and tested range of products contains a solution for almost any application. Our in-house laboratory and testing facilities are also an important source of support. If you have any questions, our employees will be glad to place their substantial industry knowledge at your disposal.